Gig Werks, a certified Office 365 solution provider, has the ability to set up and configure Office 365 along with the expertise to develop enterprise cloud solutions & applications. Gig Werks is uniquely capable to deliver all facets of Office 365 and Microsoft cloud solutions, with deep proficiency in SharePoint Online, Exchange Online and Microsoft Azure we also provide the unique understanding of advanced cloud solutions from the best ISV’s in the industry, companies such as Nintex & Sharegate. This ensures our clients get the most from their cloud investment. SharePoint Online delivers the powerful features of SharePoint without the associated overhead of managing the infrastructure on your own. Flexible management options ensure that you still retain the control you need to meet the compliance requirements of your organization. 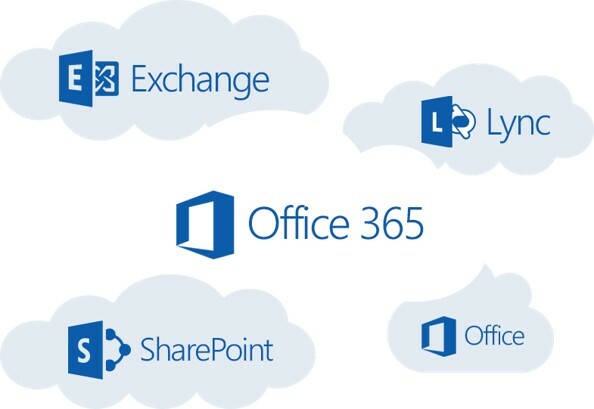 You can purchase SharePoint in the cloud as a standalone offering or as part of an Office 365 suite where you could also get access to Exchange, Skype, the Office clients and web applications. Contact Gig Werks to see what SharePoint Online can do for your business. With Exchange Online maintain control over your environment while gaining the advantage of hosting your email on Microsoft servers. Manage your organization efficiently with the Exchange admin center, an easy-to-use, web-based interface. Run In-Place eDiscovery across Exchange, SharePoint, and Skype data from a single interface through the eDiscovery Center. With mobile device policies, you can create approved mobile device lists, enforce PIN lock, and remove confidential company data from lost phones. And IT-level phone support is available to you 24 hours a day, 7 days a week. With Exchange Online work Smarter, anywhere and with any device with hosted email for business. Contact Gig Werks to see what Exchange Online can do for your business. Microsoft Office 365 brings together the power of the familiar Office applications with business class email (powered by Exchange Online), document sharing (powered by SharePoint Online), and instant messaging and video conferencing (powered by Skype). Contact Gig Werks to see what Office 365 can do for your business.